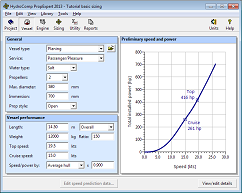 PropExpert is a propeller selection tool for the sizing and analysis of propellers for work boats and pleasure craft. It provides the tools needed for the proper selection of propulsion system components – engine, gear and propeller – and is the principal sizing tool of manufacturers and distributors. Click here for the PropExpert product brochure with additional details and specifications, or here to view “Tell Me Why I Need PropExpert”. Why do you need PropExpert? Watch to find out! View details about PropExpert en Español. We have prepared a flyer in Portuguese specifically for propeller manufacturers. 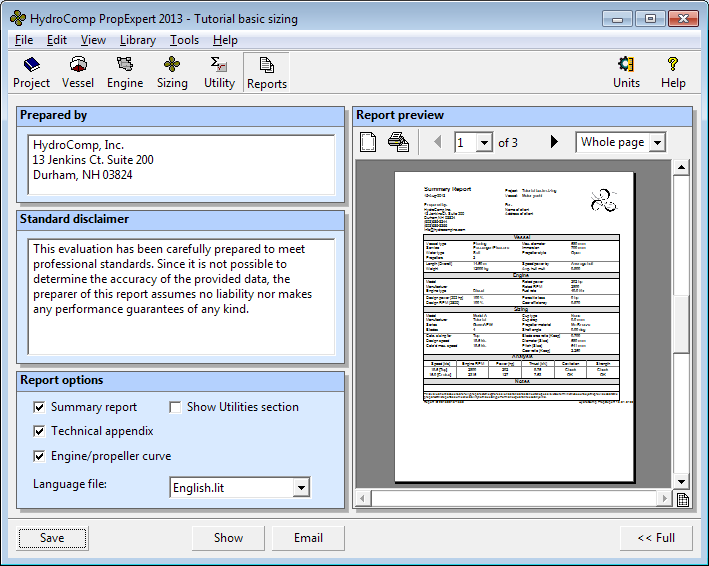 This one page document highlights our PropCad, PropExpert, and PropElements software packages. Click here to view this article. 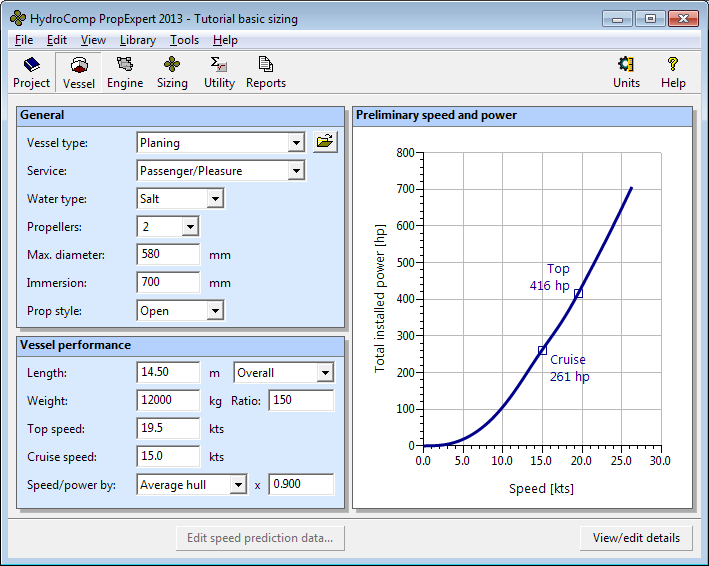 Analyze the effect of cup, shaft angle, and cavitation on thrust, power, and speed performance of the vessel! 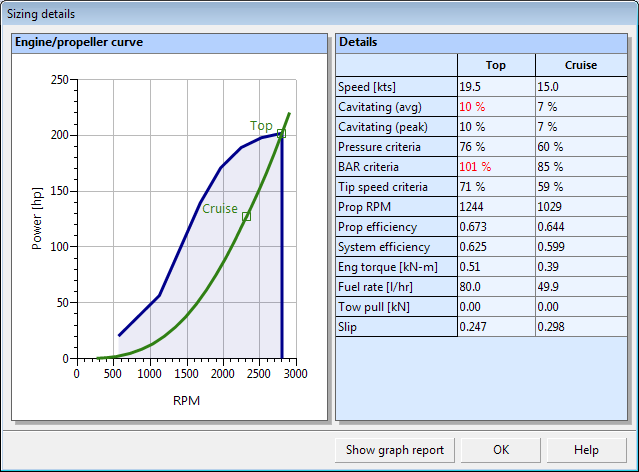 The advance features in PropExpert allow you to dive deeper into the analysis. 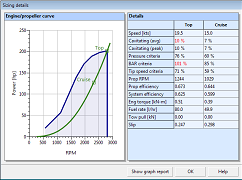 Use data from a prior trial or data of a similar vessel to anchor your model to real-world performance – or use PropExpert’s speed-estimation formula when data is not available. 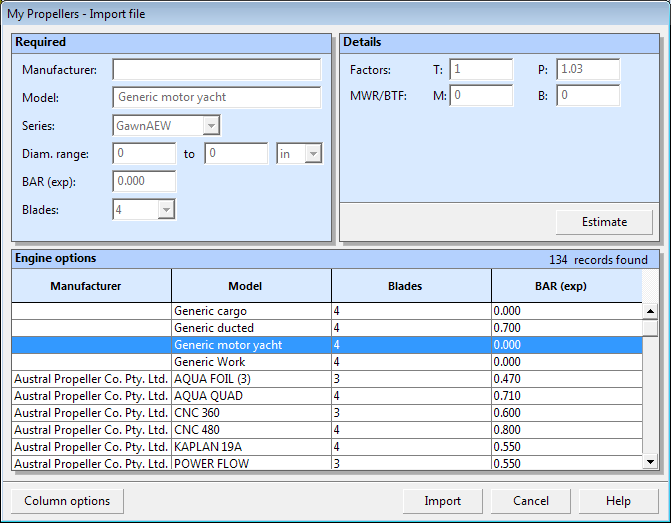 You can use PropExpert’s project library to manage your database of projects, vessels, propeller, and reduction gear models. 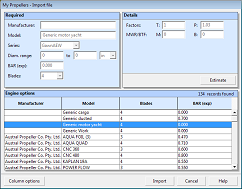 Select component definitions from prior analysis or create new components on the fly! 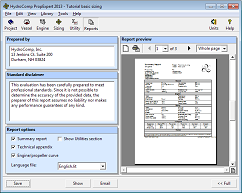 When you have completed your analysis, you can quickly generate summary reports. These professional reports featuring your logo can document the analysis for your clients. PropExpert is even capable of directly emailing reports to clients! Are you involved in propeller repair? Visit our sister company TrueProp Software!